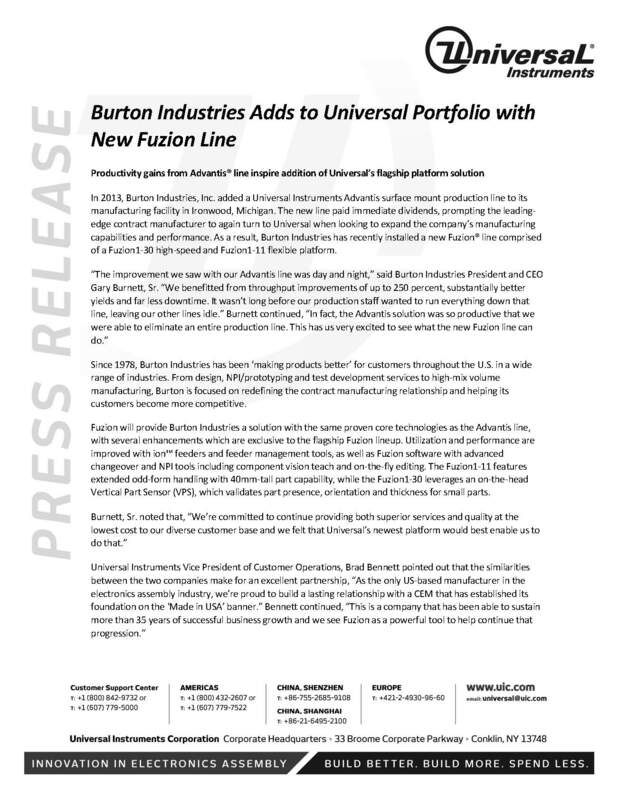 Burton Industries is continuing to invest production enhancements. The Company recently added a Universal Instruments’ Advantis Fusion SMT line which includes a Fuzion1-30 high-speed placement machine and a Fuzion1-11 flexible platform. The new system supports fast line changeovers, plus has integrated inspection tools which help Burton’s team consistently deliver superior quality. Read more in our recent press release. 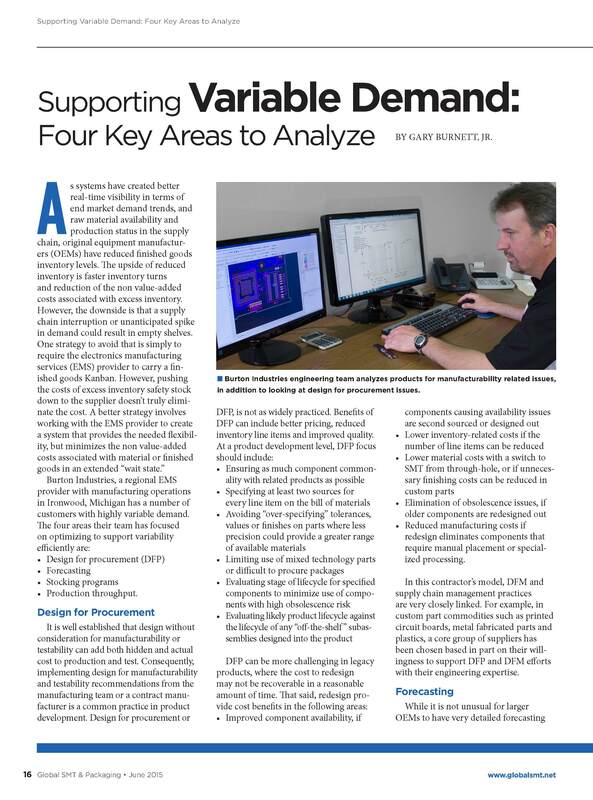 Read our latest article in Global SMT & Packaging which goes into more detail on this topic: Supporting Variable Demand: Four Key Areas to Analyze here. Are Legacy PCBAs Costing Your Company Money? Is JTAG Testing Right for Your Product?